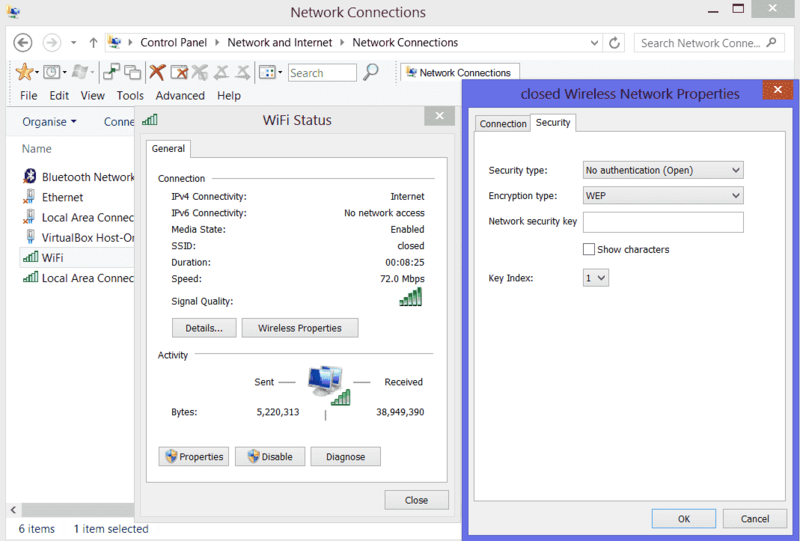 Windows 8 doesn't support WPA and WPA2 but you can still use WiFi in ad-hoc mode without authentication. Go to WiFi adapter > Status > Wireless Properties > Security. Set security type to No authentication (Open). Set encryption type to WEP. Provide your network security key. ← [SOLVED] E: Unable to lock the administration directory (/var/lib/dpkg/), is another process using it?